Fly private to (ANP) Lee Airport in Annapolis, Maryland and spend your days walking through the city’s charming, historic streets. With a heritage dating back to the original colonies, and native American civilization before that, you can bet that this popular destination will keep you and your family busy throughout your visit. The whole area has stood the test of time, and much remains the same from the early eighteenth century. King George’s street and Hanover were called the same thing by George Washington and Thomas Jefferson as we call them today, and many buildings have survived for just as long. Baltimore Jet Charter believes in providing private fliers with a one-on-one consultative service experience that exceeds every expectation We understand that your time, privacy, flight preferences and most of all, safety, are all extremely important. Our Annapolis Jet Charter representatives are available for you by phone and email 24 hours a day, 7 days a week. When using our private aviation service, you can expect quick response times and an easy, hassle-free booking process. Our jet charter brokers can arrange everything from multi-leg private flights with in-flight catering to luxury ground transportation and private helicopter lifts. Request a quote or call us to arrange your private flight to/from Annapolis, Maryland. Annapolis has a ton of early colonial buildings that will have private jet travelers relishing every new street corner. From gabled churches to antebellum bars and restaurants, there’s history packed into every inch of this city. The present day establishments pay homage to their extensive lineage by constantly preserving the architectural integrity of each building. This often results in hotels that look like cottages on the outside, but are lavish and bordering on decadent inside. For instance, The Westin Hotel line has a reputation for being modern and new age in design. However, this Westgate Circle location boasts eighteenth century American and even European influences in its design. It then surprises guests with a sleek and airy interior that’s prefect for relaxation (and maybe a cocktail or two). While private flights are often very relaxing experiences, sometimes the best hotel is the one that’s closest to the airport. The Westin is only a couple miles from the executive flight terminal, and offers shuttle and limousine service to and from your entry point. 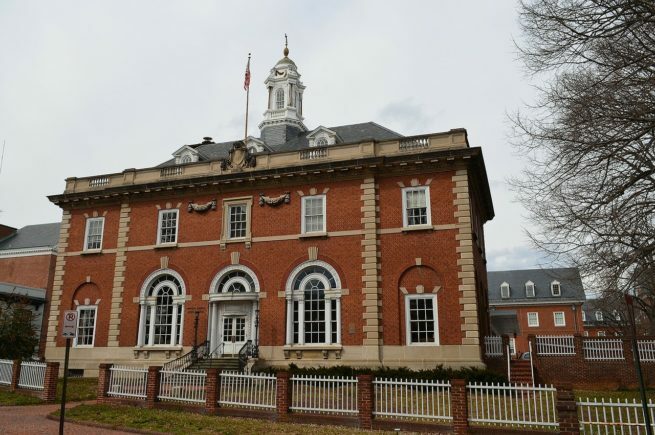 Add this to its convenient location at the heart of Annapolis, and you have a winning option for your visit to this beautiful part of Maryland. Now, while The Westin is one of the best hotels in the area, private flight travelers may want a few more options. Baltimore Jet Charter has created a list of the top lodging options for your visit to Maryland. The list is primarily based on Baltimore Jet Charter client feedback, online reviews, and amenities offered. Read on and check it out. Book a private flight to (ANP) Lee Airport in Annapolis, Maryland and enjoy this picturesque seaside city. This Atlantic coastal town is one of Maryland’s biggest tourism hubs and has a ton of things to do for visiting private jet travelers. While chartering a private jet to the area is easy, finding out what to do while you’re there can be a bit difficult. Many of the most popular establishments and attractions are in the downtown and historic districts. Famished after your private chartered flight? Head over to Café Normandie for a traditional French country breakfast, albeit with slightly larger portions. You can expect quality service and deliciously prepared entrees by Chef Evvenou, whom established the restaurant back in 1986. Depending on the time of day, you may want to pack it in and head for your hotel after eating. However, if you’re feeling sociable, there are bars to spare in the city’s downtown. Ask any local what the best bar in the area is, and they’re likely to say Galway Bay Irish Pub for its friendly atmosphere and impeccable service. After a good night’s rest, you can head out to the docks to take part in one of the city’s most iconic activities, sailing. The harbor is chock full of sailboats ready to be rented or chartered for a day out on the water. If you get tired of the water, spend an afternoon in the historic district and walk the same streets as the founding fathers while stopping in for snacks at the various cafes that litter the area. The area is also home to St. John’s College and the historical homes of previous magnates of various industries. St. John’s College is definitely worth a few hours of perusal as it’s one of the oldest standing academic institutions in the United States. It was established under the moniker of King William’s School in 1696, and changed names in 1784. Their campus is home to the Elizabeth Myers Mitchell Gallery of Art, which is worth several hours of enjoyment. 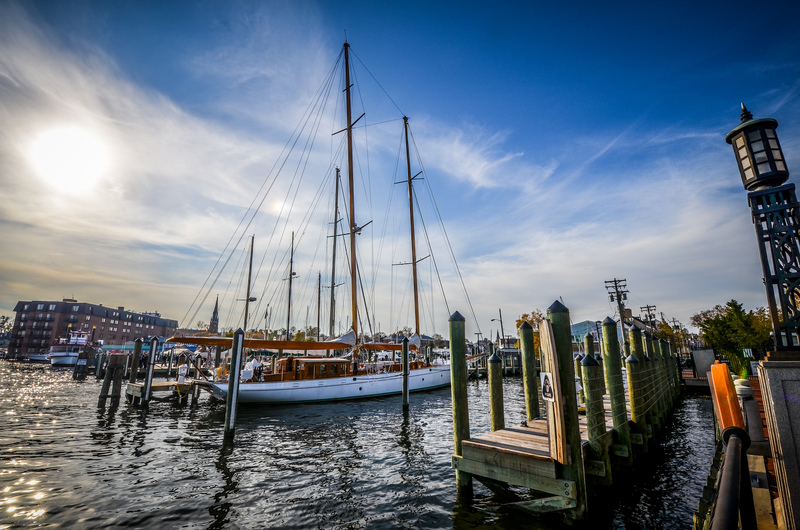 So whether you’re looking for a good time, a weekend on the water, or a walk through history, Annapolis will have something for you. Read on and check out even more things to do in the area. Baltimore Jet Charter utilizes the following airport to fly clients privately to/from Annapolis, Maryland and neighboring areas. Request a Quote or give us a call at 1-888-987-5387 to speak with one of our Annapolis Private Jet Charter agents for your next luxury vacation, business trip, or special event.